If looking as fast as you feel influences the way you ride, then our wind-shucking aero Q-Rings with a 110BCD allow you to orient your chainrings around your riding style...literally. 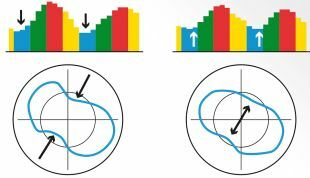 Q-Rings were designed to boost your cycling performance by varying drivetrain resistance inline with your legs´ natural strengths and weaknesses when pedaling. 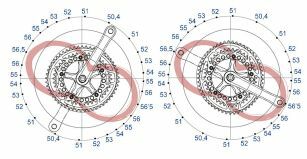 5 Optimum Chainring Positions (OCP) allow you to fine-tune your improved riding experience by orienting your chainrings around the most productive part of your pedal stroke. Subtle but efficient 10% ovality and compatible with your compact 110BCD cranks, aero Q-Rings work with your body´s biomechanics to yield maximum efficiency and enable you to go further and faster with less fatigue.